Cleverley’s sale of sample bespoke shoes was my first introduction to them – way back in 2009. There have been precious few such sales since, but there will be another on Thursday November 19th, for one day only – 9am to 7pm. It’s two years since the last one I believe, and I’m sure there’ll be heavy demand. There are quite a few samples available, including those pictured here. Pricing will range from £500 to £1000 depending on the material, down from £2800 to £4800. You can follow the discussion on Cleverley bespoke sample sale – one day only by entering your email address in the box below. You will then receive an email every time a new comment is added. These will also contain a link to a page where you can stop the alerts, and remove all of your related data from the site. Simon, an honest question: how much do you spend on bespoke items in an average year? I noticed in the 2009 piece you referred to here that you doubted you’d ever be able to afford bespoke – now you’re drowning in the stuff! Please don’t get me wrong, I’m a huge admirer of the site but the costs of going almost fully bespoke in a wardrobe – from overcoats through to jeans – must be astronomical? Very large, yes. Fortunately the income from the blog has also increased hugely in that time. We had pretty much no advertisers back then, now we have more than 20…. Plus income from the various collaborations of course. Thanks for this notification. 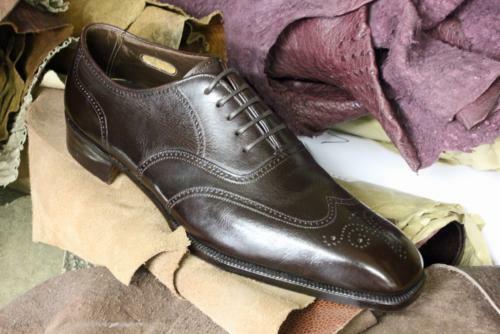 I’ve always had an affection for high quality shoes primarily because I do take pride in looking after them. However, bespoke has always been out of range. Could you please explain what you mean by “sale of bespoke sample shoes”? 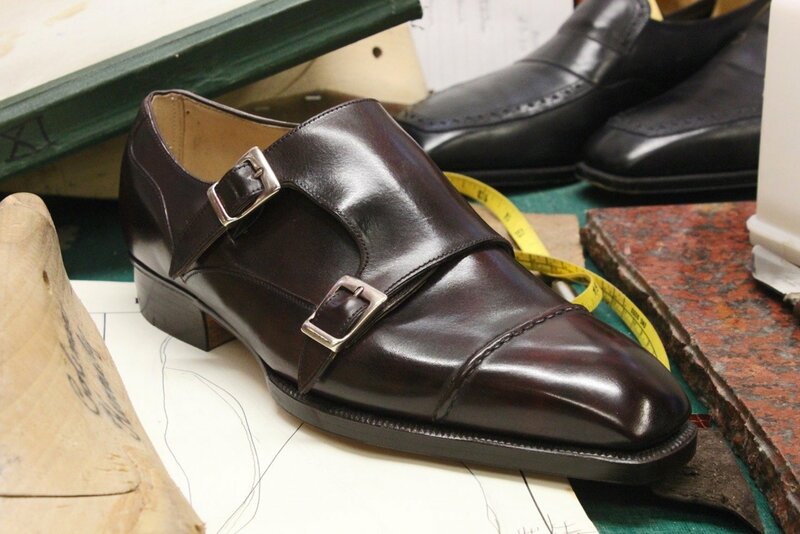 They are all bespoke shoes, but some customers never pick them up, or there is a mistake in the order, or they simply change their mind and order something else. Occasionally they are made as design samples as well. Simon, with the shoes that are never picked up, are these fully paid for and the customer simply cannot be bothered to turn up for the final fitting or shoes partially paid for with the client not picking up / paying the rest? Also when you say that some customers change their minds and order something else, am I correct the pair that is being left is fully paid for? I’m simply trying to understand whether these ‘left overs’ are due to people not wanting to pay or simply having enough money to easily leave £2-£3k and move on to something else. 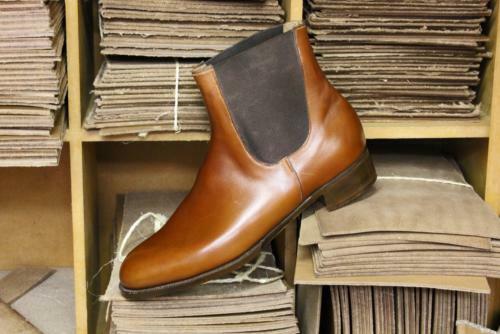 Is there an advantage to these sample bespoke items over high-end RTW shoes (e.g. G&G Deco line)? Presumably the fit won’t be better than RTW since they were built for someone else. Would you happen to know how many pairs are for sale, and in which sizes? Assume the sale is in their normal store and they havent hired an alternative venue as seems to be the trend? Nope, normal store. Others hire off-site places partly because they don’t want to associate the sale with the the shops, and partly because they simply have such quantity of old stock. Cleverley aren’t quite at that level…. I struggle a bit with the idea of buying a bespoke shoe made for somebody else. Or a bespoke anything made for somebody else. I found a last that fits me wonderfully well, the C&J 348. I have about 11 pairs, and they are all, no matter the style, good for 10 hours wear straight out of the box in perfect comfort. 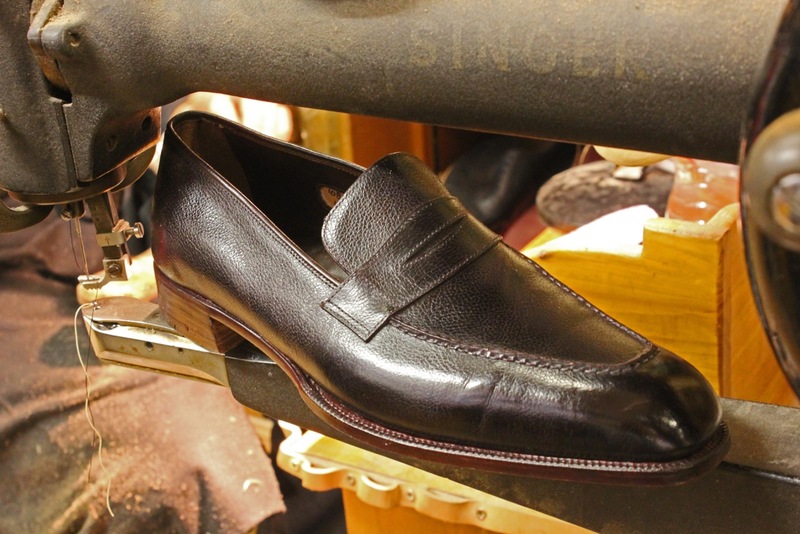 Slip ons, monk, double monk, laces, suede, chestnut, black, the list goes on, and they just feel fantastic, wear well, repair well. Re. storage suggestions for Dimitrios; We use wardrobes that allow double racking (two rails, one above the other) within each wardrobe. Added to that are specialist German space saver hangers that allow for trousers, shirts, outdoor jackets etc. to be hung whilst saving space. Specialist gear (skiing, outdoor, swimwear etc.) is boxed and stored atop each wardrobe. Shoes are in racking whilst boots and athletic footwear are boxed. They all live in room that acts as a walk in wardrobe. It also pays to be realistic – as collections build up they need editing. If you no longer wear an item sell or give it away. If it has sentimental value box and store the item. Seasonal discretion can also be used as Simon mentions – this is big in Japan (due to lack of space) where cold/warm wardrobes are alternated and stored when not in use. Fleeces, bulky knitwear etc. can be bagged in vacuum storage bags whilst not in use. Also consider storage in hall areas that can be used as ‘boot rooms/cupboards’ where commonly used coats jackets and footwear might be stored. So, did anyone get a pair?? Please tell! Yes! I got a very nice cap toe oxford and an imitation brogue! I am feeling rather too pleased with myself. Were they standard colours, or something a little more garish? And how is the quality? I have a couple of pairs of their semi bespoke Anthony Cleverley shoes, and am wondering whether it is worthwhile spending the extra for fully bespoke.